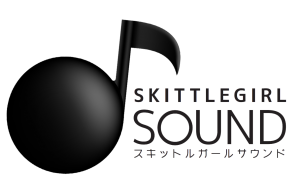 All music remains the copyright of the composer Satoko “Holly” Young, also referred to as Skittlegirl Sound. This music license option is used when a group/company/person commissions Skittlegirl Sound to create a piece of music especially for them and to their specific guidelines. The use rights for the created piece are exclusive to the purchaser, which means only they (the group, company or individual) have the sole right to use the music. To request custom music, please contact us via this form. You are granted license of the custom music which is created by Skittlegirl Sound an exclusive, non-transferable, single project license to use the licensed music in your multimedia project. You are authorized to synchronize the music in timed relation with a single production, such as an application, game, film, internet video, photo slideshow, presentation, or other digital media. The music is exclusively created for use in relation to a single project and cannot be used in any other projects. A sequel to the licensed project is considered a different project and thus requires a new license in order for the sequel to use previously licensed custom music. Once the completed piece is delivered, changes may be requested but may require additional fees depending on the work needed for the revision. Payment is due within 72 hours upon delivery of the custom music. If revisions are requested, payment is due within 72 hours upon delivery of the revised custom music. Once the music is delivered, you will not be charged any additional royalties or fees for the future use of the custom music within the terms of this agreement. Payment is accepted via PayPal, Amazon Pay, credit cards by Stripe and Braintree.